Europe's four member states in the UN Security Council strongly condemn Israel over its planned construction in Jerusalem. Europe's four member states in the UN Security Council issued on Wednesday a strong condemnation of Israel over its planned construction in Jerusalem. A statement released by the UK, France, Germany and Portugal said the four are “extremely concerned by and strongly oppose" Israel's construction plans. 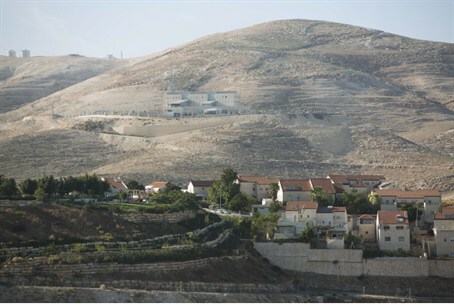 "Israel's announcements to accelerate the construction of settlements send a negative message and are undermining faith in its willingness to negotiate," the statement read. "The viability of the two-state solution, that is key for Israel's long-term security is threatened by the systematic expansion of settlements. Settlements are illegal under international law and detrimental to any international efforts to restart peace negotiations and secure a two-state solution…. We call on the Israeli government to rescind these plans and recall that we will not recognize any changes to the pre-1967 borders, including with regard to Jerusalem, other than those agreed by the parties," it continued. Earlier on Wednesday, UN Chief Ban Ki-moon called on Israel to cancel plans to build thousands of new Jewish homes, warning the move could be "an almost fatal blow" to peace hopes. "The Middle East peace process is in a deep freeze. The two sides seem more polarized than ever, and a two-state solution is farther away than at any time since the Oslo process began," he said. "I am deeply concerned by heightened settlement activity in the West Bank, in particular around Jerusalem. This gravely threatens efforts to establish a viable Palestinian state," Ban complained. On Tuesday the PA's observer at the UN, Riyad Mansour, predicted that with the exception of the United States, all the other members of the Security Council will vote in favor of condemning Israel's plans to expand construction. Since the U.S. would have used its veto power if a resolution against Israel would have passed, the European nations chose to condemn Israel by issuing a statement. Also on Tuesday, U.S. State Department Spokeswoman Victoria Nuland used strong language when condemning Israel's decision to build. “We are deeply disappointed that Israel insists on continuing this pattern of provocative action,” Nuland told reporters. “These repeated announcements and plans of new construction run counter to the cause of peace. "Israel’s leaders continually say that they support a path towards a two-state solution, yet these actions only put that goal further at risk,” she added. Despite the strong remarks, however, Nuland said the United States did not believe pursuing condemnation of Israel at the UN Security Council would be “helpful” in resurrecting the stalled peace process.